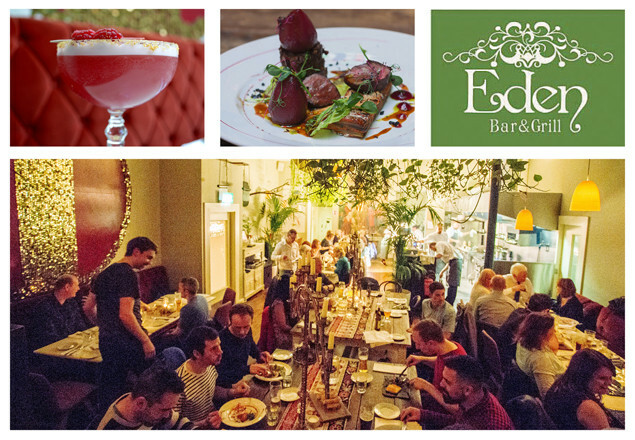 In another exclusive with Rewarding Times, we have teamed up with the fabulous Eden Bar and Grill, Dublin 2. Rewarding Times subscribers can get three courses for two people from the seasonal A la Carte menu including €30 credit towards wine for only €69. The offer is valid from February 1st 2017 until May 1st 2017. Three courses for two people from the A la Carte menu, 2 x starters, 2 x mains, 2 x desserts. Tea or Coffee and Includes €30 credit towards any bottle of wine. The voucher does not cover the cost of side dishes/ additional bottles of wine or cocktails.